Malcolm was born in Thornaby-on-Tees in 1889 and played local football for Thornaby St Mark's, Thornaby St Patrick's and Darlington St Augustine's. In 1909 he had a trial with Woolwich Arsenal before signing for Fulham, where he played just four times in little over a year before moving to Home Park in December 1910. A versatile performer who could perform equally well at half-back or centre-forward, he made a promising start with Argyle but suffered an injury which kept him out for the second half of the 1910-11 campaign. He returned to the first team at the start of the following season and his form over the next fourteen months led to a transfer to Middlesbrough, for a fee of £1000, in October 1912. 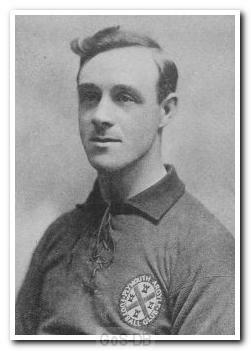 Over the next two years Malcolm made almost 100 appearances for Boro, before his career was interrupted by World War One. At the end of the conflict he joined Darlington, going on to play 166 games over the next five years. He ended his career in 1926 with a short spell at Durham City.